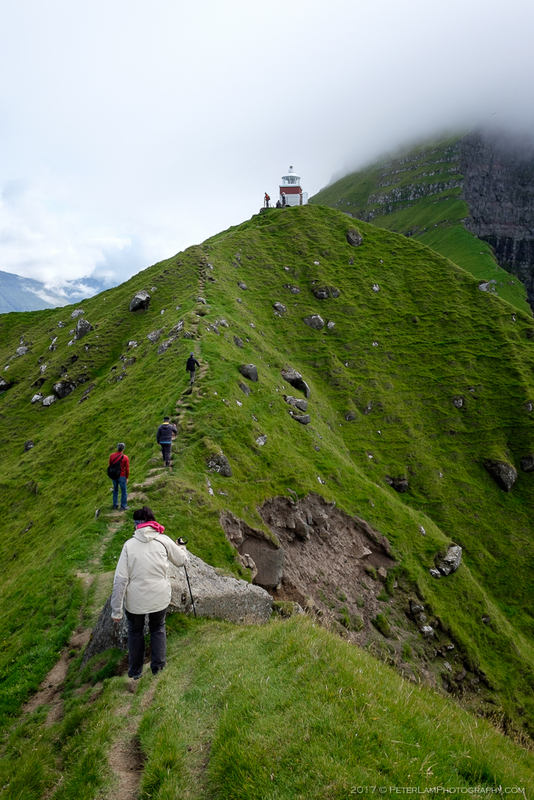 It is Day 4 of our week-long trip to the Faroe Islands, and time for what is often a high point for every visit to this country: a day trip to Kalsoy and a hike to the famous lighthouse at its northern tip Kallur. 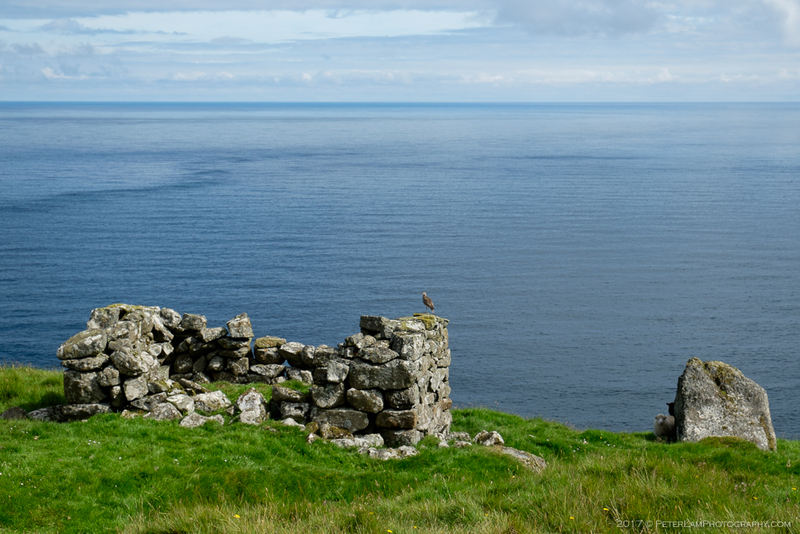 A dramatic photo of the lighthouse, perched high on the rugged seacliffs surrounded by crashing waves of the Atlantic Ocean, would surely justify a trip to these remote islands, despite the considerable cost and effort. 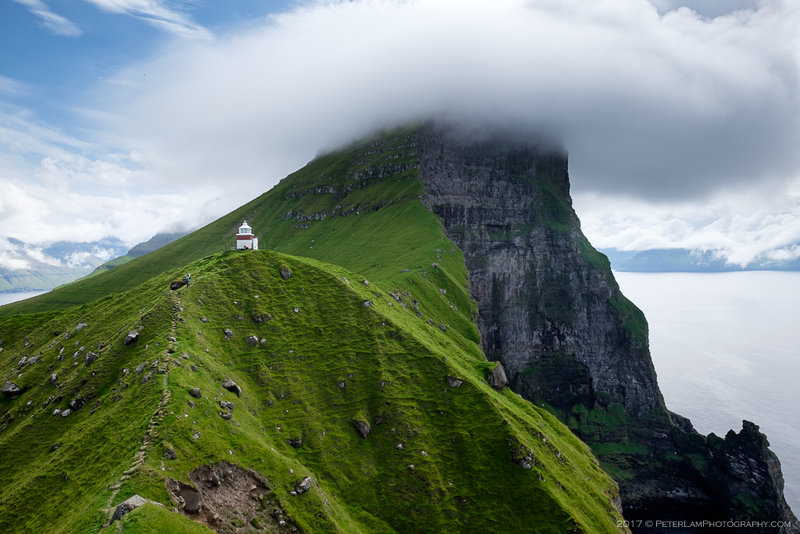 The lighthouse on Kalsoy island. 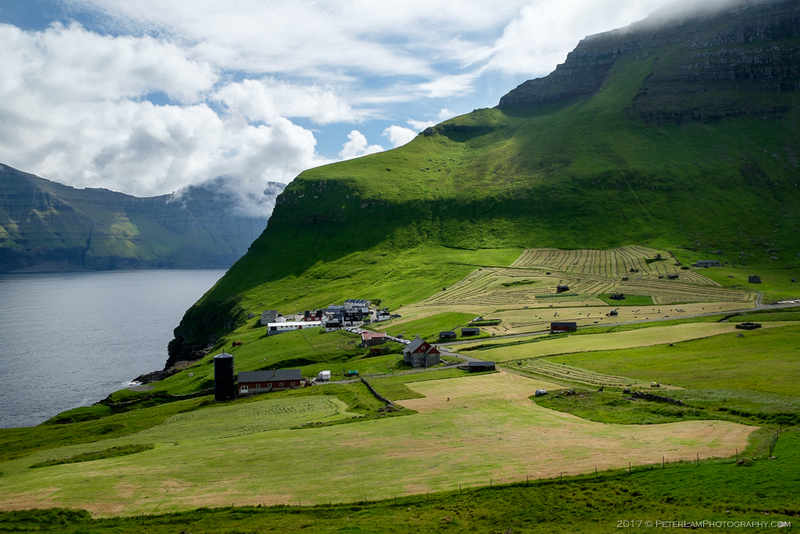 Kalsoy island, nicknamed “The Flute”, is long and slender and the westernmost of the Faroe’s Northern Isles. 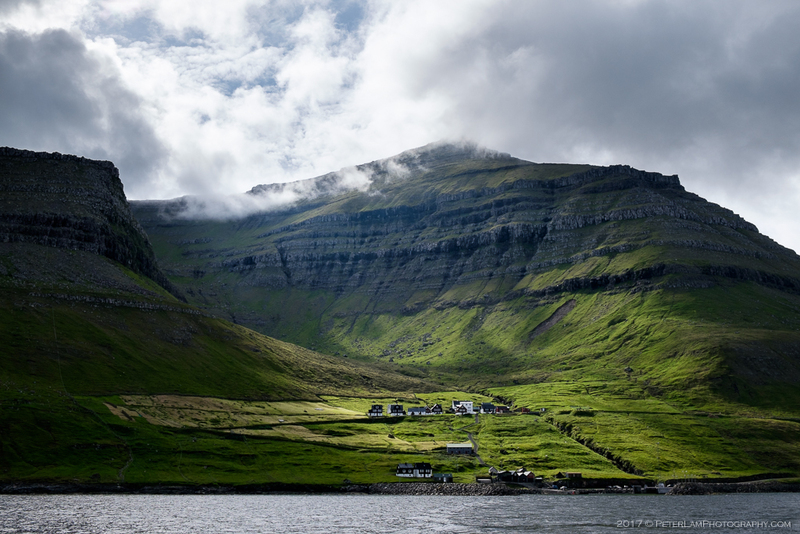 It is accessible by a short commuter ferry ride from Klaksvík harbour – the ferry runs frequently so there is no need to worry if it happens to be full (usually during peak tourist season in the summer months). 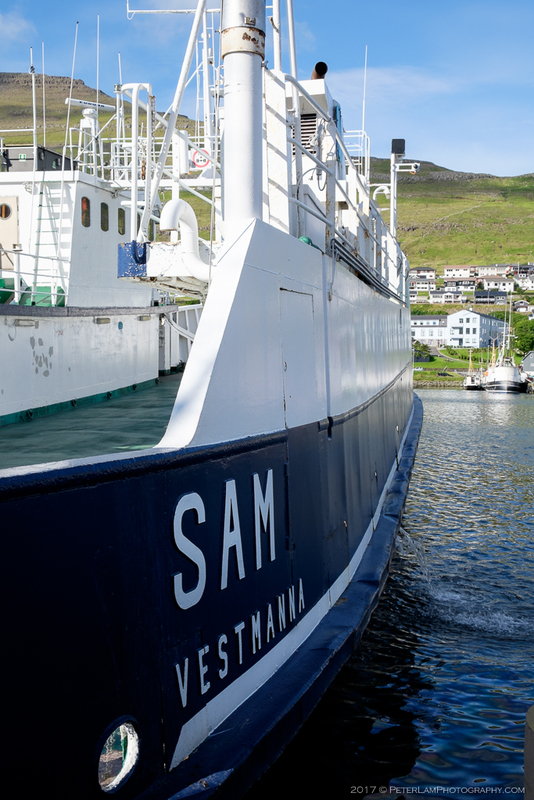 The car ferry “Sam” sails from Klaksvík to Kalsoy. 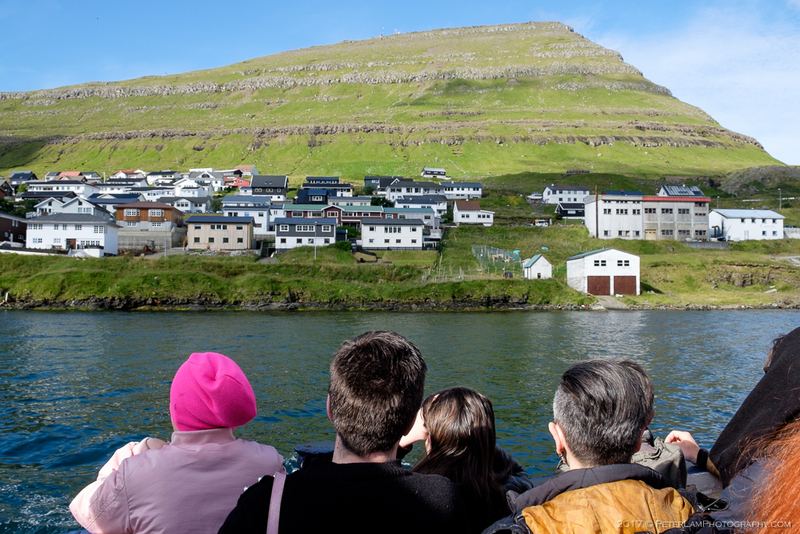 Enjoying the view as we head out Klaksvík harbour. There is a single one-lane road that runs the length of the island, joining its four villages and combined population of less than 150 residents. 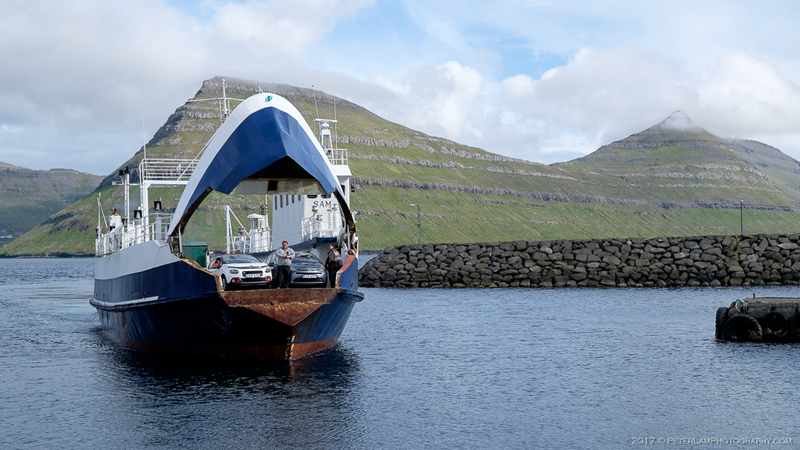 The ferry disembarks at the southern village of Syðradalur where we start our northbound journey. 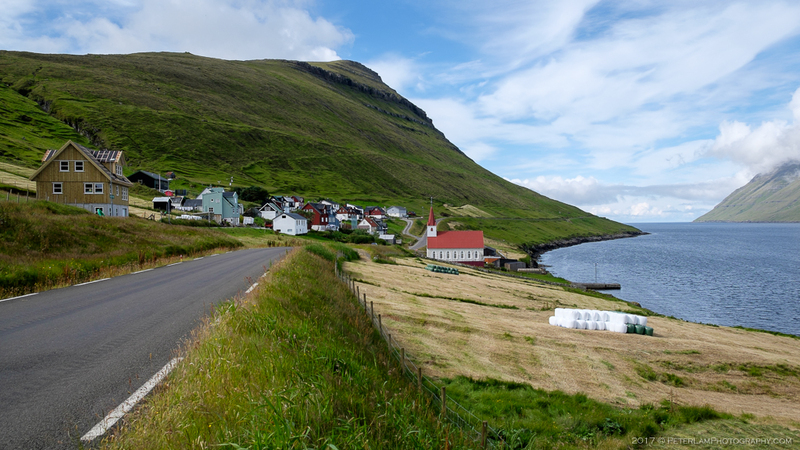 The village of Syðradalur where the ferry disembarks. 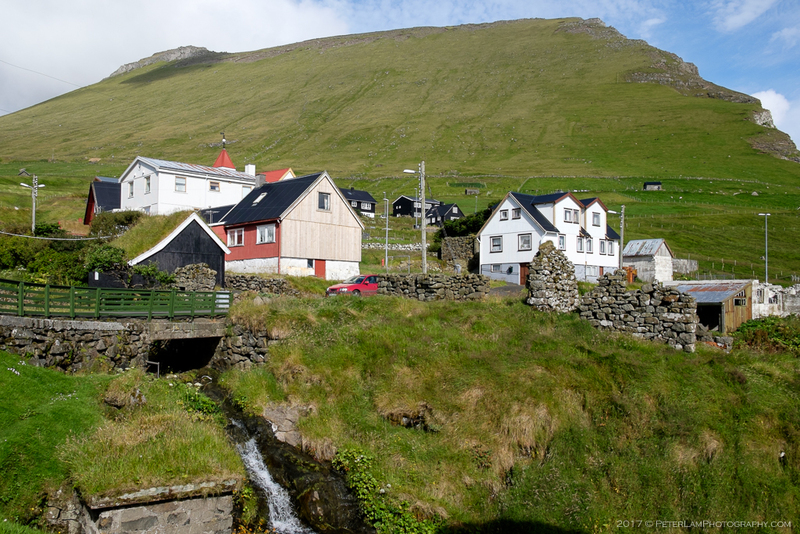 Húsar village, the oldest on Kalsoy. Seals were believed to be former humans who voluntarily sought death in the ocean. Once a year, on Twelfth Night, they were allowed to come on land, strip off their skins and amuse themselves as human beings, dancing and enjoying themselves. 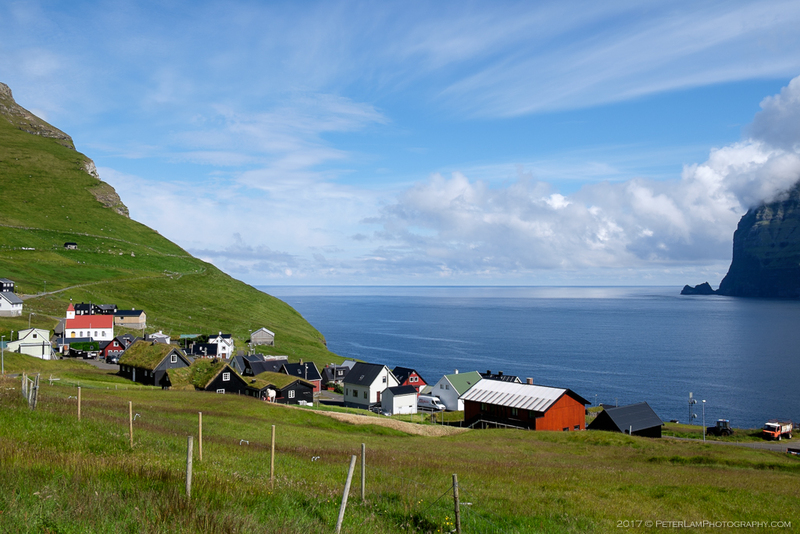 Mikladalur village, the largest settlement on Kalsoy. Mikladalur village with Kambur mountain behind. A popular spot for visitors. 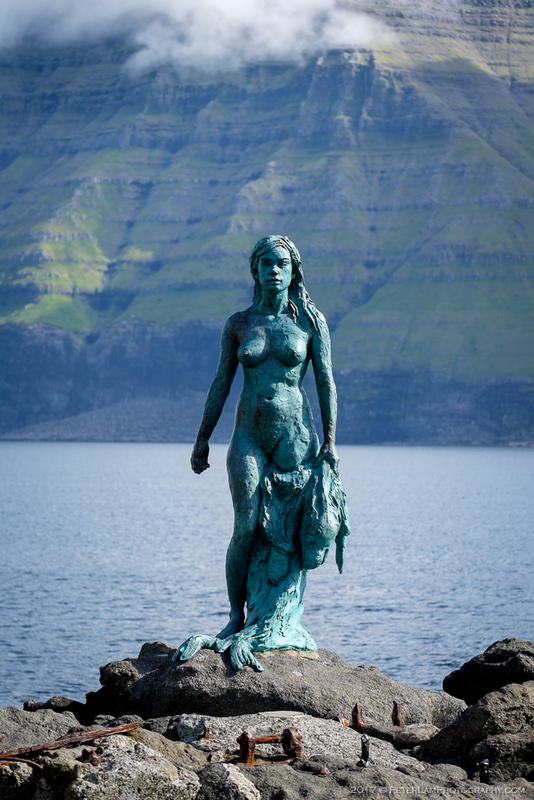 The statue of the Seal-Woman. 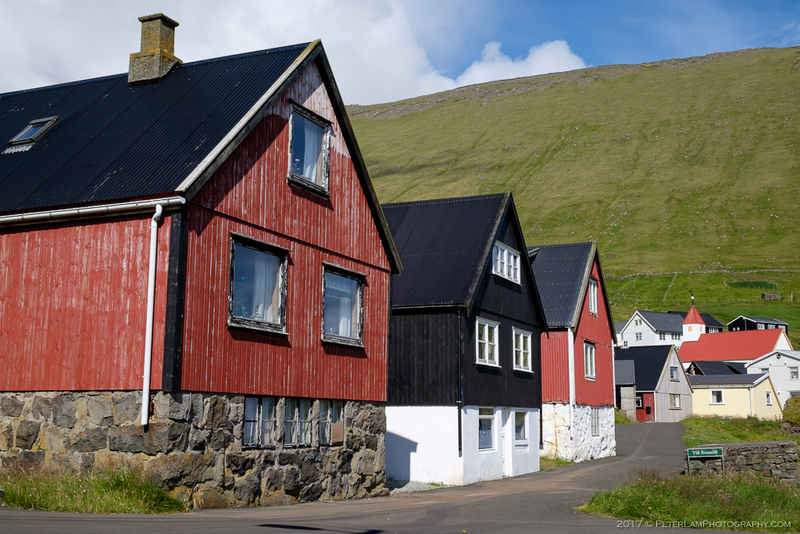 Typical colourful houses of Faroese villages. Remnants of old shelters. Kunoy island across the waters. 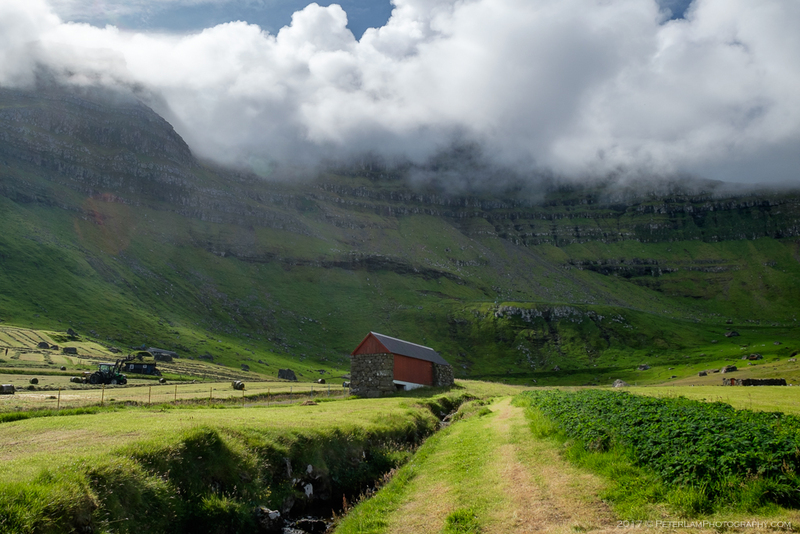 Continuing further north, we reach the village of Trøllanes, a tiny farming community and the location of the trailhead to Kallur. 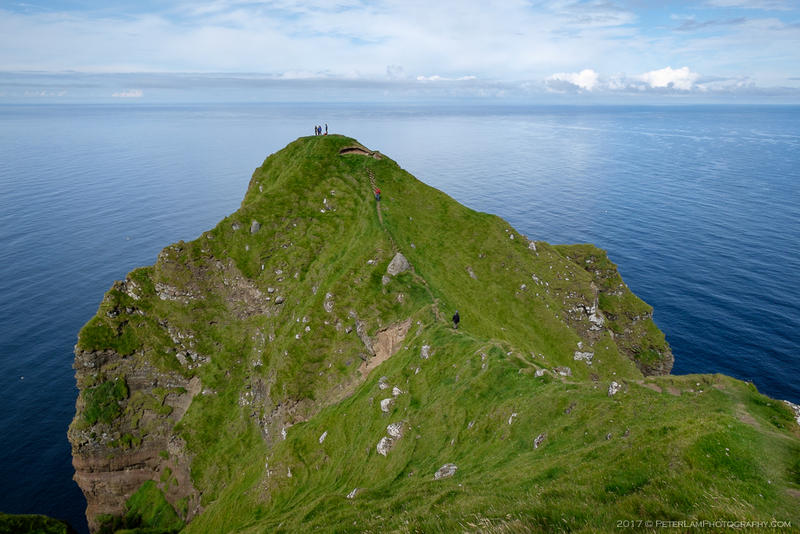 While there are no official trail markers, the path (and procession of tourist hikers) is easy to follow, and soon the famous lighthouse can be spotted on the horizon. The view from the top is sure to take your breath away, but for the full experience, continue on the narrow path out to the promontory for a look back at the famous vista. 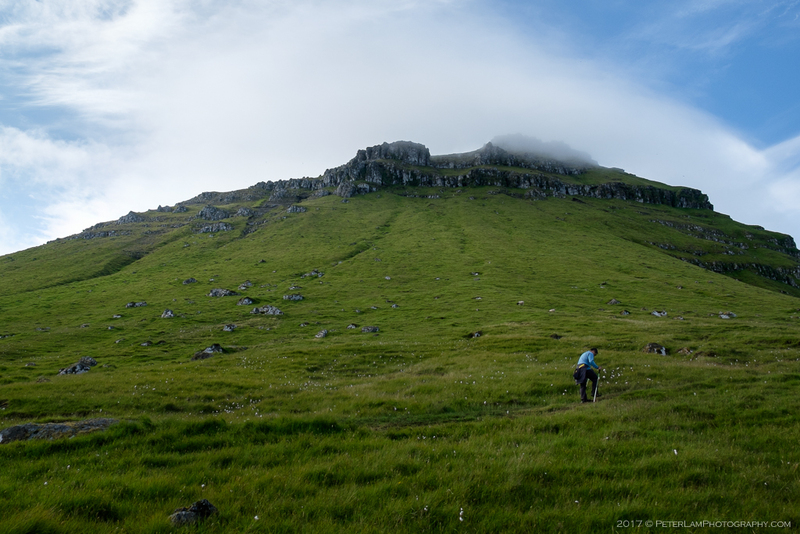 The knife-edged path is very narrow – just enough for only one person at a time – with steep drop-offs on both sides. Probably not a good idea to attempt during strong winds and rain; a mistake here would surely be your last, a victim of the Seal-Woman’s curse! A red gate leads to the outfield and beginning of the lighthouse trail. The farming settlement of Trøllanes. Follow the sheep shelters and you won’t go wrong. Making our way across the lush green fields. No need to climb the mountain, thank goodness! Other hikers up on the hill ahead. Weather conditions around these big mountains are always unpredictable. Looking back at our progress. What a view! A somewhat modest lighthouse, but it gets the job done. 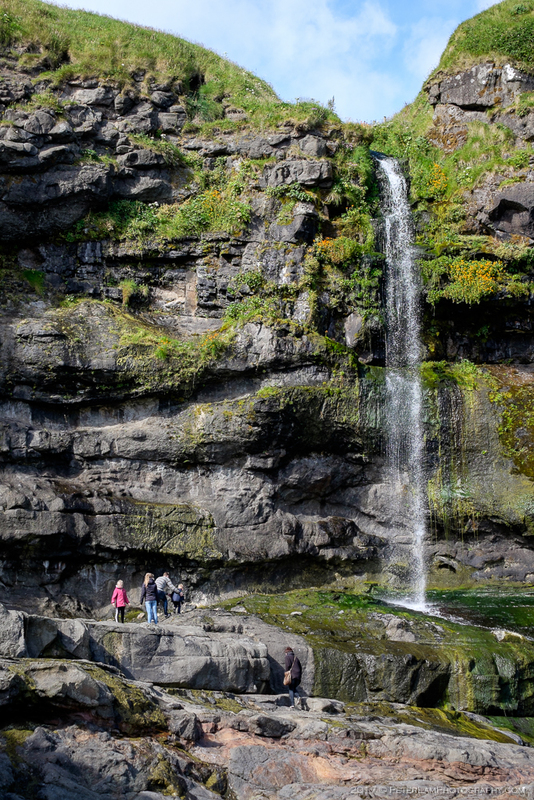 Head out to the northern promontory, if you dare! 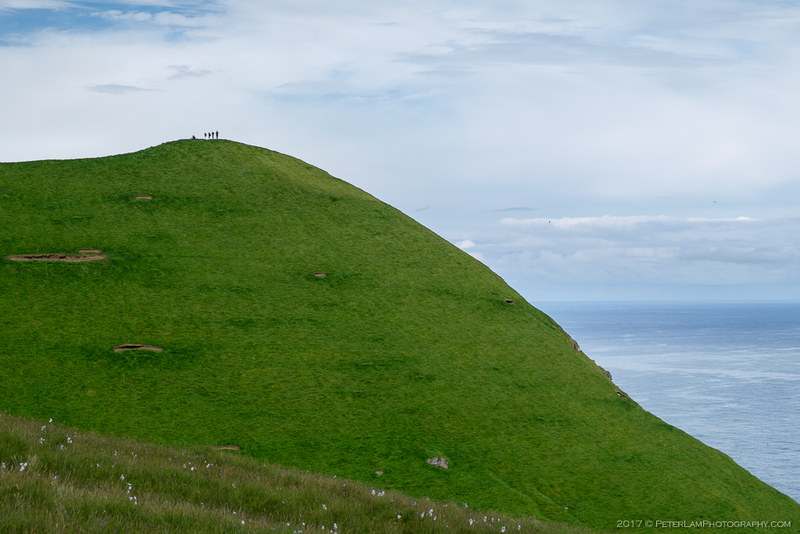 Another (little less scary) promontory to the east. View of the Kallur lighthouse. This is what we came for. Amazing! Be very careful here, a misstep could easily be your last. 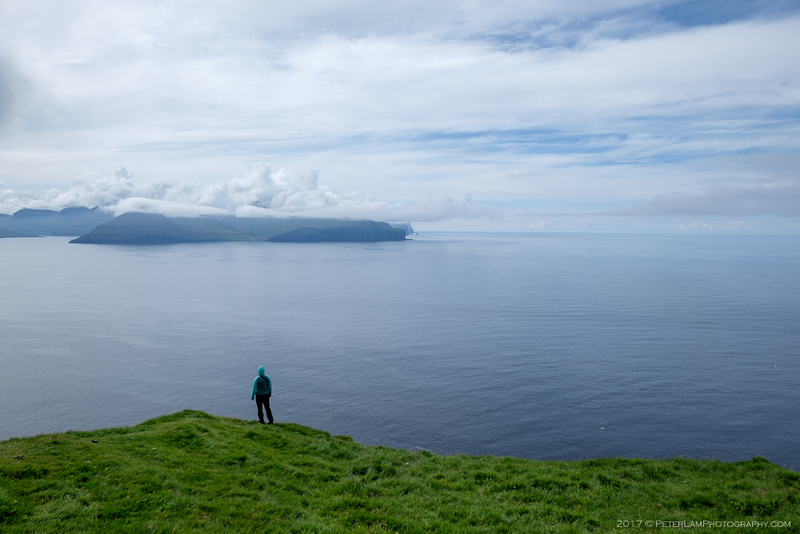 Looking west to Eysturoy island. Heading out to the eastern promontory. Lewis taking a lunch break. Kunoy and Viðoy islands in the distance. 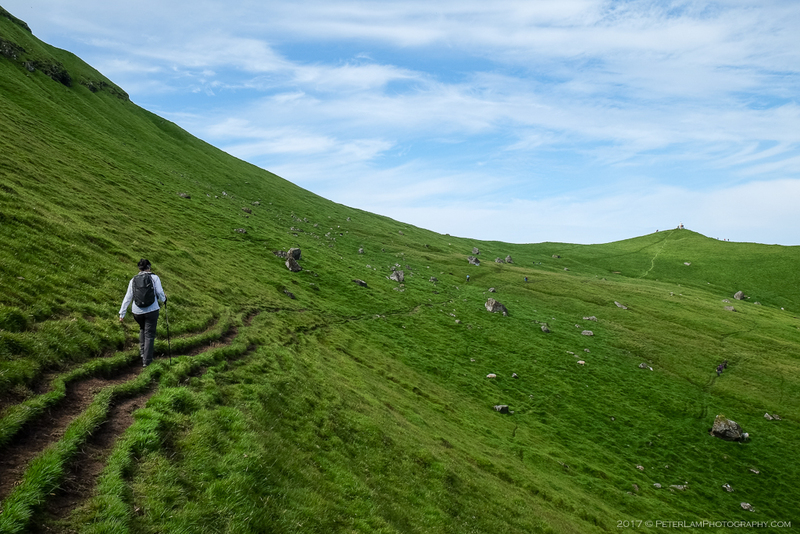 We make short work of the return hike to Trøllanes. 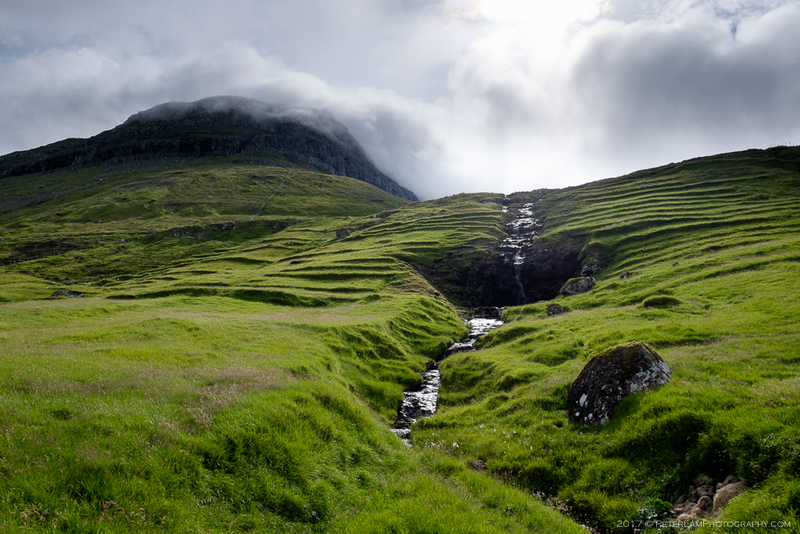 The stream and cascades at Húsar village. Sam the Ferry arriving to pick us up. Open wide! 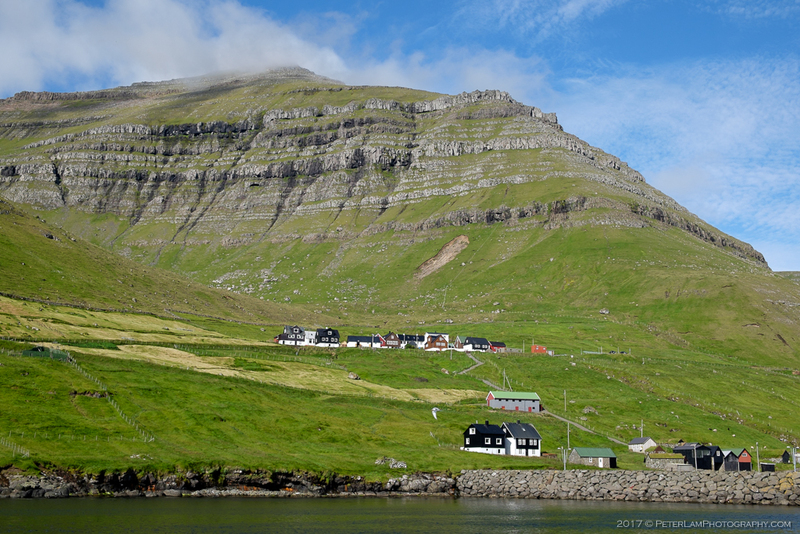 Stunning view of Syðradalur as we leave Kalsoy and head back to Klaksvík. Dear Peter, thank you for this great post! 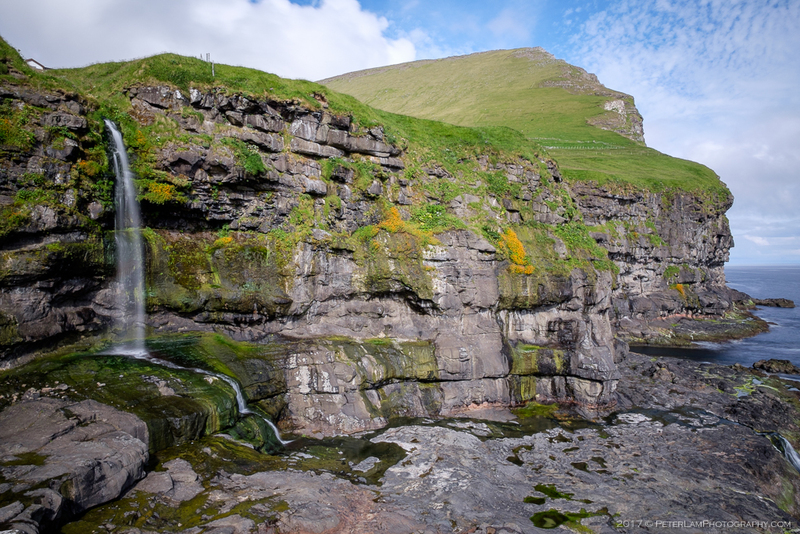 I will study ALL OF THEM carefully, since I’m going to the Faroes in August!!! 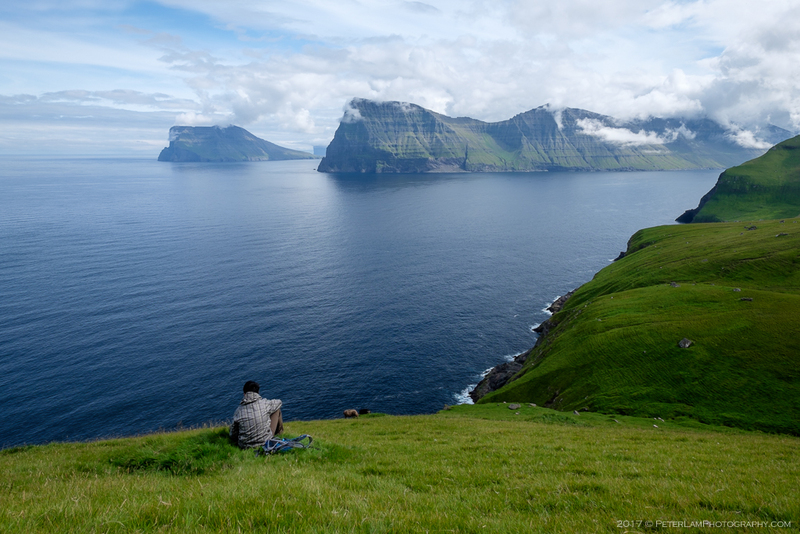 So you can go WITH your rented car to Kalsoy, right? And then with it till Trollanes and then park it there and start walking. Is that it? Once again, thank you so much for all the great info and photos! Cheers from Rio, Brazil! Hello Pavlos, yes you are correct, you drive your car onto the ferry from Klaksvik, and then take the single road to Trollanes. Can’t miss it, pretty much everyone is headed there as it has become a popular hike. IF the ferry is full, you might have to wait for the next one. Try to go on a day with good weather, not just because of the view – if it is windy or rainy, I would not go that last stretch out beyond the lighthouse as it can be pretty dangerous! Enjoy your trip, you will LOVE it. Thank you Peter. Yes, I see. 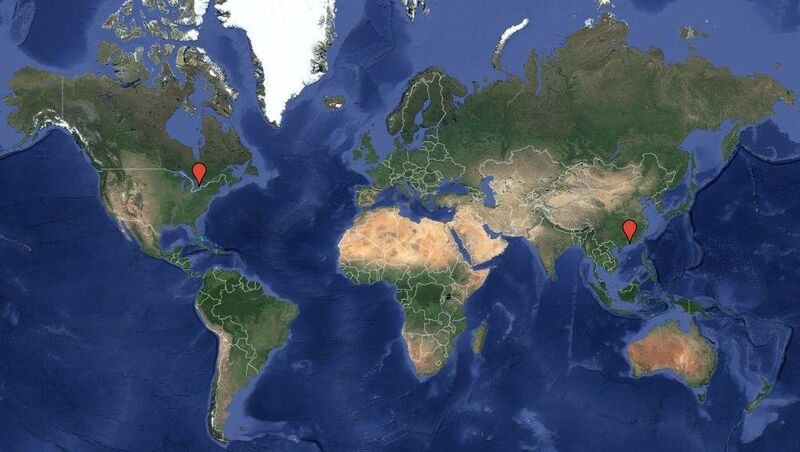 My only concern is going there in mid August, for the return ferry. Even the ferry administrators are saying they’ll think of a way of making reservations in advance because occasionally there are too many people to come back in the afternoon! Hope I get good weather there! Thank you again for the kind replies! I think you’ll be fine with the ferry. The trip there in the morning will be busy as everyone wants an early start. We stayed at the lighthouse to enjoy the view and took our time back to the port – took the last return ferry late afternoon and there was hardly anyone there. Everyone had gone back early already! Thank you Peter. And you went in the high season, July, right? So I guess August will be pretty similar! Thanks again! Btw, do you have Instagram? It’s my ‘updated site’ 🙂 pavloseuthymiou I will be glad to see your photos there too! Actually we went in early August. 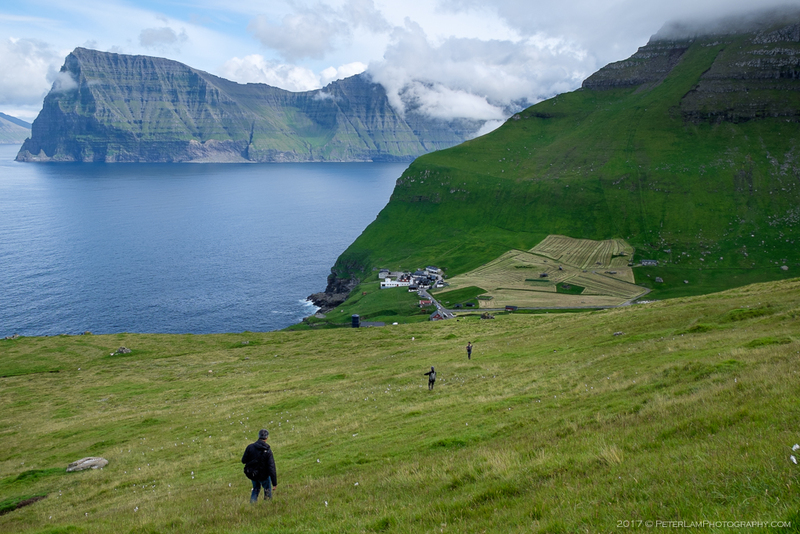 It won’t be too busy as the Faroes is still pretty remote and nothing compared to Iceland in terms of tourist crowds. And the people are so friendly there. I don’t have an Instagram account (yet), just FB. Hi! First of all, very nice pics and useful post! 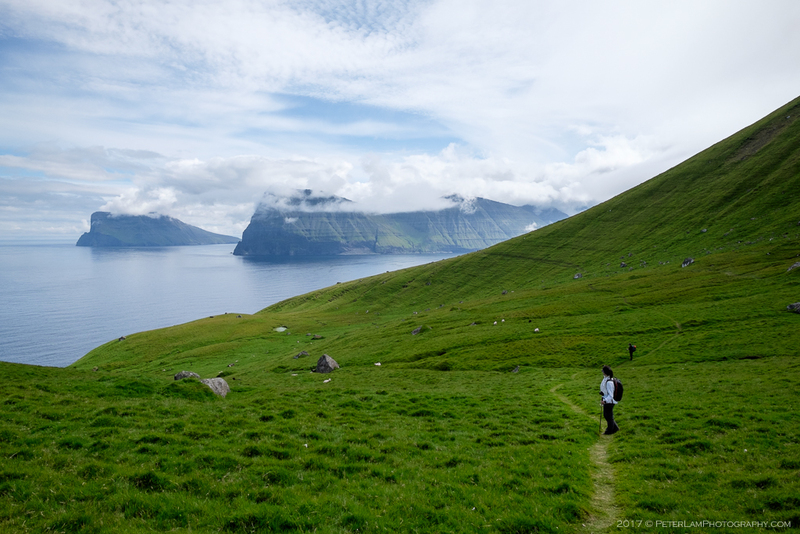 We’re also going this August, but unfortunately now the Kallurin hike can only be done with a guide (which is the local farmer who own the land), as they told me by mail from Klaksvik Tourist Office. 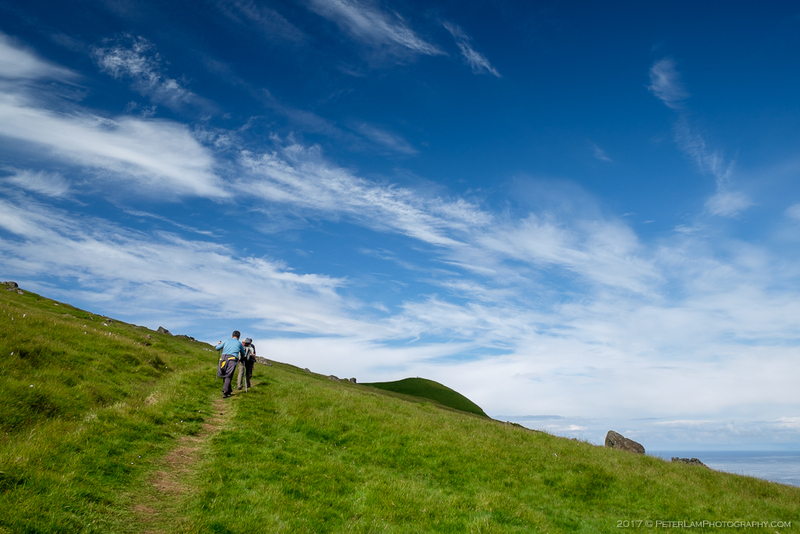 In fact, in hiking.fo there is only the option of “buying” the guided tour. We’re still thinking what to do, because we really loved to go there! Hi Lara, are you sure about that? That’s really a shame! Have you been able to book it? 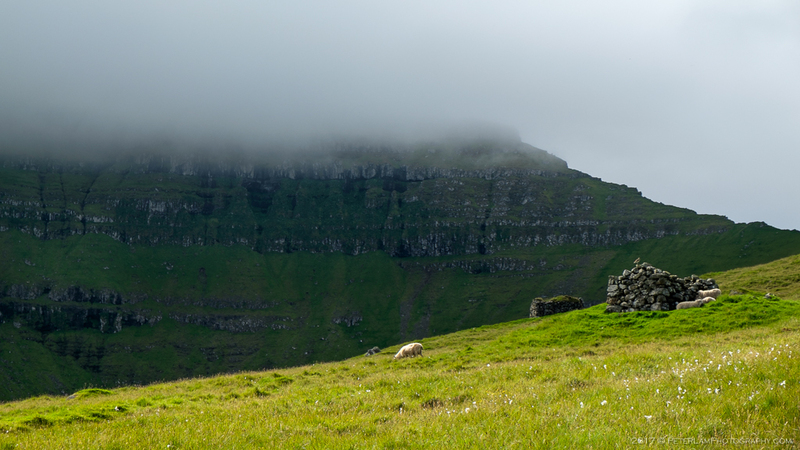 I’ll be in the faroes from Aug. 13 to 20 and you? Oh I wonder if it is because the hike is so popular now? Pretty much everyone goes there for that hike. Maybe the farmer is trying to minimize the impact on the land (while making a quick buck, too). Update us on what you decide to do! 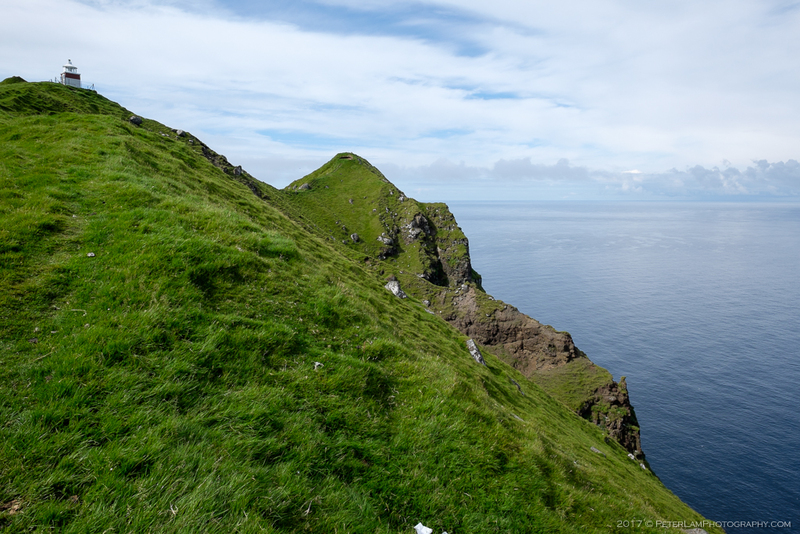 Hi Pavlos, I’m afraid so, I asked directly to the Tourism Office, because Mykines now has a mandatory fee for hiking, but you can do the lighthouse hike without a guide (I also asked to be sure). 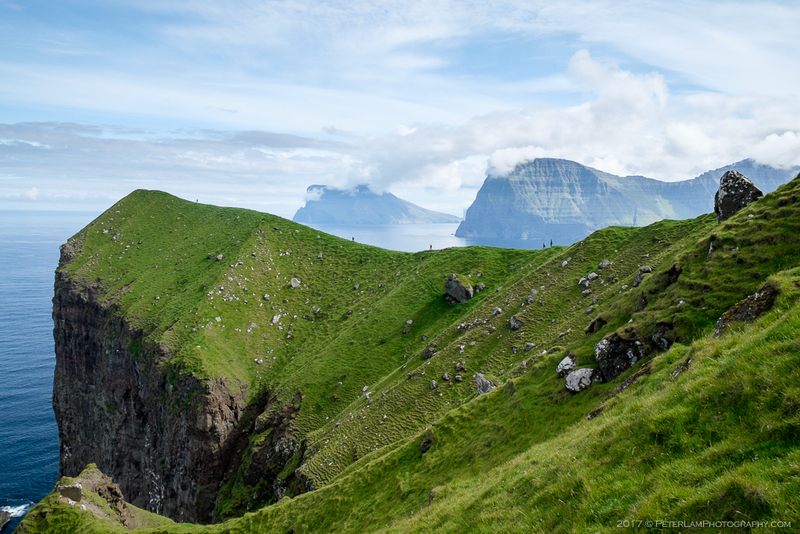 But concerning Kalsoy, they told me this “Yes, you will need to book a guide for the hike to Kallurin. The guide is the local farmer, just for the lighthouse. You are free to walk around the villages on your own”. We’re going a week before you, from 6 to 12th. We’ll probably book this week. 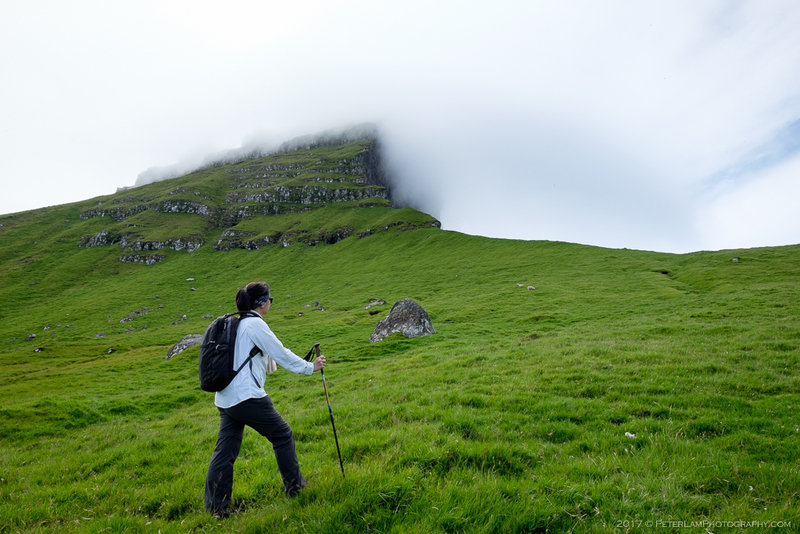 If you take a look to hiking.fo, you will see that this hike is only with a guide booking option. Peter, I’ve read in a forum that it’s especially a question of people security and preservation of the land, and of course I guess to get some money. In fact, as you read above, the guide is the local farmer, which is the owner of the land. I’ll tell both of you when I book if everything is fine. 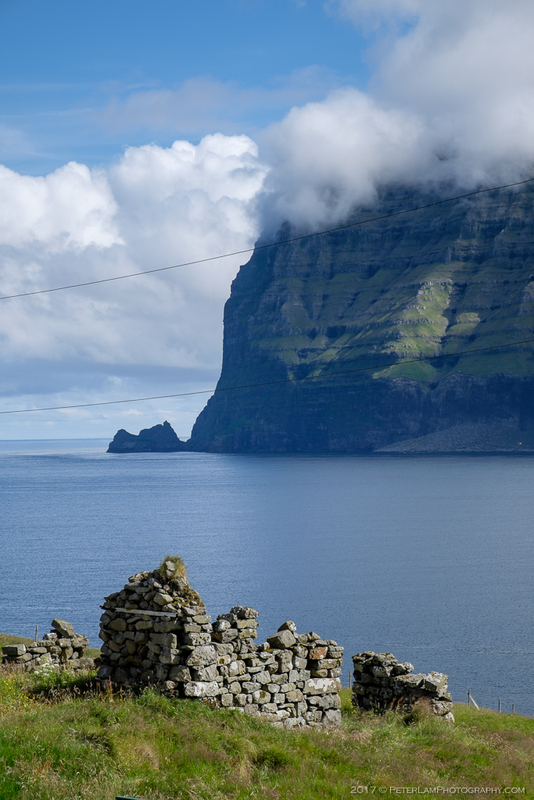 As for Mykines, I read on the official site that you can ONLY pay in advance online, but until some time ago one could pay directly at an office on the island. 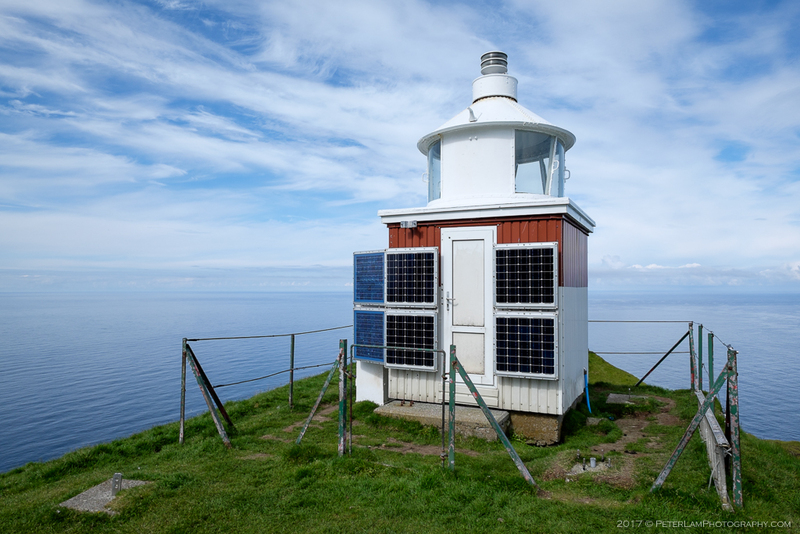 As for Kallur lighthouse, hiking.fo looks like a tourism agency, all hikes are paid. But please do let us know. It would be a shame to go all the way to Kallurin and not be able to see the lighthouse. Thank you! Finally we bought the Kallurin tickets yesterday, I’ll tell you when we do it… Hiking.fo seems to be linked to the Tourist Office (where you can also download the hikings brochure), it’s the web which explains the different hikes , not all of them are paid, in fact, the most of them are free. As I read in a forum, Kallurin regulation changed this year, that’s why I asked directly to the Tourist Office. Concerning Mykines, the fee is also quite recent. We already made the payment some months ago, and also booked the ferry tickets. The hiking info from the hiking.fo website (and accompanying brochures) is some of the best I’ve seen anywhere. 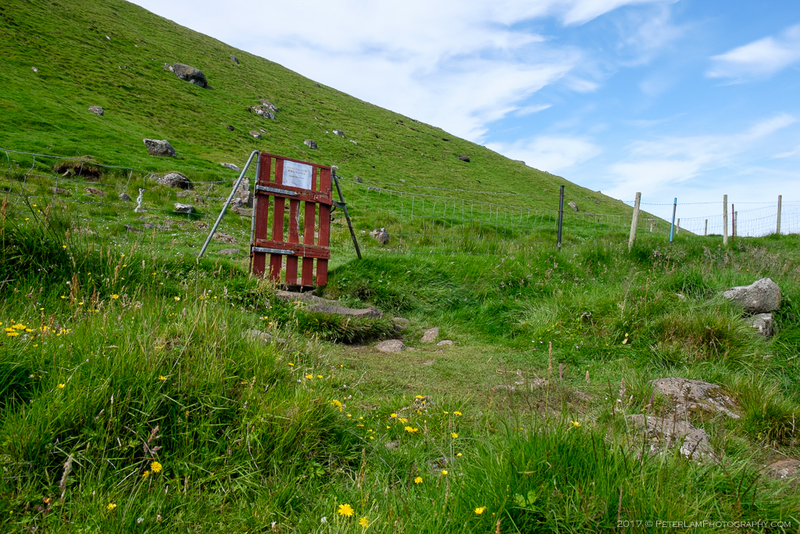 The Faroese really like their hiking, and it shows! So Mykines has a fee too? It was free when I was there last year (just the helicopter/ferry fee). 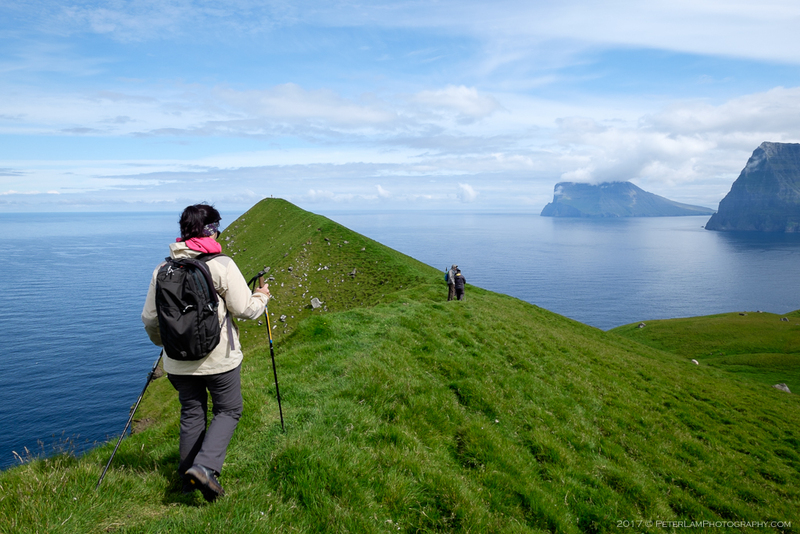 And about Mykines, now there is a mandatory fee for hiking, 100 DKK, it’s a new regulation. But we’re happy because yesterday we got tickets for the helicopter! And besides the Kallurin, I’ve read that now also Dragarnir hike is with guide..
Wow they’ve really changed it up in the past year. Probably because tourism to the islands is increasing tremendously (just look at Iceland over the past 10 years). Great that you were able to book the helicopter, what an amazing deal! It was rainy and cloudy when we went, hopefully you’ll have much better weather (and view)!